I am a proponent of endorsing others when I feel that their beliefs are consistent to what I believe in and the “Mindset” needed for the executive protection specialist. In the past I have endorsed M/Sgt Paul Howe’s US Army SFOD-D (Retired) book, Leadership and Training For The Fight, a very superb read. 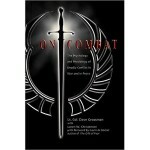 Today I want to encourage you to start reading another series of books by Lt. Col. Dave Grossman, US Army (Retired). He is the Director of Killology Research Group. 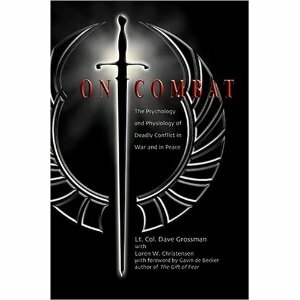 A book that I highly recommend is Warrior Mindset. Today I want to high-lite an article that was sent to me and I think it is appropriate for this group of ours – On Sheep, Sheepdogs, and Wolves. Read very carefully as Grossman breaks down the concept. “Then there are the wolves,” the old war veteran said, “and the wolves feed on the sheep without mercy.” Do you believe there are wolves out there that will feed on the flock without mercy? You better believe it. There are evil men in this world and they are capable of evil deeds. The moment you forget that or pretend it is not so, you become a sheep. There is no safety in denial. Let me expand on this old soldier’s excellent model of the sheep, wolves, and sheepdogs. We know that the sheep live in denial, which is what makes them sheep. They do not want to believe that there is evil in the world. They can accept the fact that fires can happen, which is why they want fire extinguishers, fire sprinklers, fire alarms and fire exits throughout their kids’ schools. Here is the point I like to emphasize; especially to the thousands of police officers and soldiers I speak to each year. In nature the sheep, real sheep, are born as sheep. Sheepdogs are born that way, and so are wolves. They didn’t have a choice. But you are not a critter. As a human being, you can be whatever you want to be. It is a conscious, moral decision. If you want to be a sheep, then you can be a sheep and that is okay, but you must understand the price you pay. When the wolf comes, you and your loved ones are going to die if there is not a sheepdog there to protect you. If you want to be a wolf, you can be one, but the sheepdogs are going to hunt you down and you will never have rest, safety, trust, or love. But if you want to be a sheepdog and walk the warrior’s path, then you must make a conscious and moral decision every day to dedicate, equip and prepare yourself to thrive in that toxic, corrosive moment when the wolf comes knocking at the door. Denial kills you twice. It kills you once, at your moment of truth when you are not physically prepared: you didn’t bring your gun, you didn’t train. Your only defense was wishful thinking. Hope is not a strategy. Denial kills you a second time because even if you do physically survive, you are psychologically shattered by your fear, helplessness, and horror at your moment of truth. This business of being a sheep or a sheep dog is not a yes-no dichotomy. It is not an all-or-nothing, either-or choice. It is a matter of degrees, a continuum. On one end is an abject, head-in-the-sand-sheep and on the other end is the ultimate warrior. Few people exist completely on one end or the other. Most of us live somewhere in between. Since 9-11 almost everyone in America took a step up that continuum, away from denial. The sheep took a few steps toward accepting and appreciating their warriors, and the warriors started taking their job more seriously. The degree to which you move up that continuum, away from sheephood and denial, is the degree to which you and your loved ones will survive, physically and psychologically, at your moment of truth.